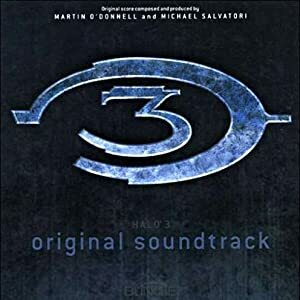 Finally, a Halo soundtrack that I don’t strongly dislike. There is a definite improvement over the quality of synths used. The instrument voices sound much less cheesy. especially compared to the first soundtrack. There’s a few tracks I don’t like (like “Roll Call” for example), but that’s a big change from the other soundtracks that had a majority of the songs I didn’t like. Overall there is a variety of moods: ambient, creepy, intrigue, battle, dramatic, and quiet. On the downside however some of the tracks have mood changes or dramatic ups and downs, which makes them less appropriate for general background music. I still don’t think this is a necessary album for any GM, but if you’ve already got a huge library and are looking to add a few good tracks to your collection you might consider browsing this soundtrack for its good tracks.